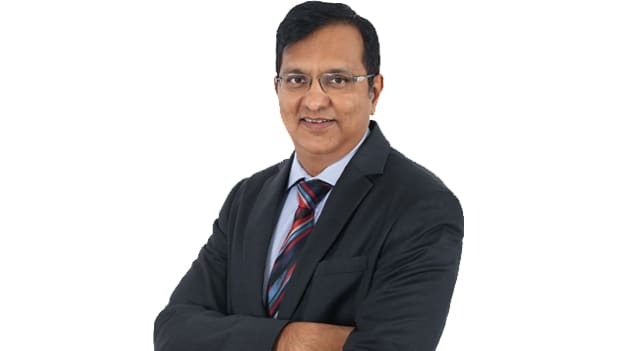 Gopal Devanahalli is the CEO of MeritTrac. He is an Engineer in Computer Science from BITS, Pilani and a Post Graduate Diploma in Management from IIM, Calcutta has over 24 years of professional services experience. As the CEO, Gopal drives the Business, Delivery, Technology, and People strategies at MeritTrac. In this interview with People Matters, he talks about the how the assessment landscape is changing and how companies should go about identifying talent. 1) According to you, what are the top three trends in the assessment landscape today? In the assessment landscape today, automated testing is becoming much more common. A related trend is that computerized testing is moving beyond just multiple choice questions. Descriptive evaluation or “onscreen marking” whereby descriptive answers are scanned and then evaluated on the system is also fast catching up. The system is a useful tool for assessing descriptive answers because it reduces the chance of making errors. For instance, if five marks are to be given to one question, an evaluator cannot make the mistake of giving six marks or more. This way onscreen marking improves efficiency and quality. With the increasing advent of online education by way of distance learning programs, emerges a new trend for students to earn their degree’s. Such learning models will thrive on computer-based testing, and it becomes extremely critical that the authenticity of these courses are maintained by way of proctoring, security measures and other assessment mechanisms. 2) What are some of the most in-demand skills that organizations are assessing today across different sectors? There are two skills that most corporates that we work with are assessing, one is cognitive abilities, and the other is communication skills in English. In domains such as IT – specific tests are held in programming languages. 3) MeritTrac works with multiple stakeholders including educators, government, and leaders in the corporate sector. What are some challenges that you have observed? With corporates, the predominant concern is that they tend to interview a lot of students and visit a number of colleges to identify the right talent but the dropout rate is very high. Corporates also note that students don’t necessarily perform at the same level that was expected after they join. In the government sector, it is slightly different – the tests are conducted at very large scale for very few positions. So, there the challenge lies in –how you administer these tests without any errors. It needs to be done very smoothly. As far as universities are concerned, the primary focus is on entrance examination –to ensure that the entrance exams are conducted smoothly. Some colleges look at one single batch where everybody is taking tests at the same time. So, that’s a large scale test that needs to be done without any problem. 4) A survey puts India among the top four countries in making the wrong hire, what should companies do differently to identify the right candidate? The right selection tool is important for the assessment of critical skills. My advice to corporates is to do the cognitive and communication test first and then do the domain test. MeritTrac’s Acetrac helps in not just assessing domain or skill knowledge but also allows corporates to analyze cognitive abilities and communication skills. 5) If you had to give one word of advice to HR leaders about hiring in today's competitive environment, what would it be? The kind of skills required is changing very fast because of AI, Automation, Data Science, etc., Traditional profiles of hiring are also changing, and therefore HR should focus on hiring people who are continuous learners, and are creative thinkers. Each company needs to figure out the changes that are transforming their industry. Take the example of Airbnb disrupting the hospitality sector, what kind of skill sets are now required to succeed in the marketplace because of players like Airbnb; it is worth reflecting on such questions.